Often when working with a live subject, pressures are difficult to auscultate, making accurate evaluation of student proficiency almost impossible. This arm features an embedded speaker plus an electronic control unit. It allows the instructor to preset any combination of systolic and diastolic pressures and to control the pulse rate and volume level. An auscultatory gap can also be added and the five Korotkoff phases can be audibly discerned. The pressures are activated at release valve by the student and can be read directly from the sphygmomanometer. When using the Blood Pressure Simulator, students are never “approximately” correct – with the preset values they are either right or wrong. The external speaker system allows an entire classroom to auscultate blood pressure sounds, which normally can be heard only by one person via stethoscope. The electronic control unit also features a manual calibration button that allows the unit to be used with any type of sphygmomanometer. 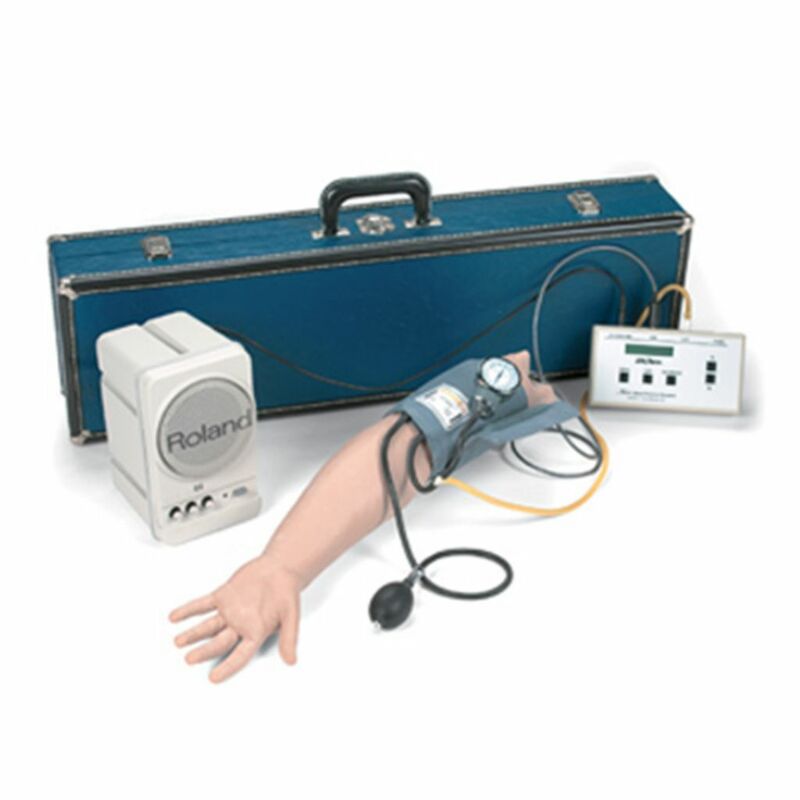 The simulator is supplied with the external speaker, the electronic control unit (4 “AA” batteries included), a sphygmomanometer and a hard carrying case. Ordering information: A stethoscope is not included.